CCN is not a traditional card-trading game. It’s an adventure game with zany characters to meet and weird locations to explore. In the center is our new card battle system that breaks away from the fantasy TCG mold with connecting cards to form combos. 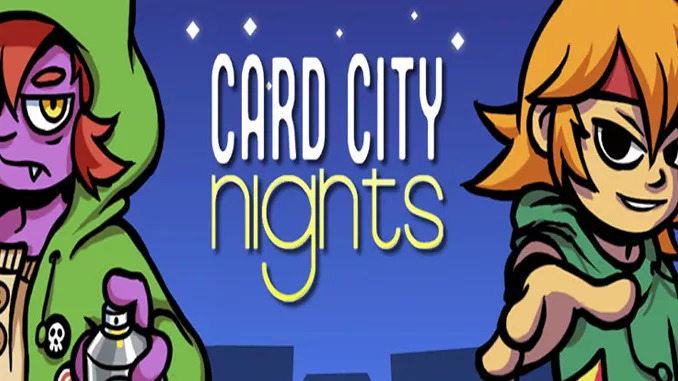 Journey through the night-time city in this charming card-playing game. Meet bizarre and familiar faces while battling your way through bars, dark alleys and shady corporations.